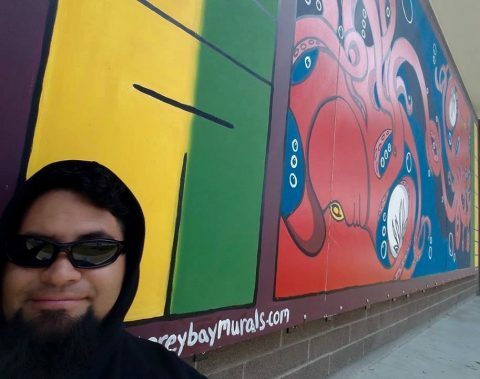 Movable Murals, is a pilot project of Pajaro Valley Arts in collaboration with the City of Watsonville, funded by the Community Foundation of Santa Cruz. 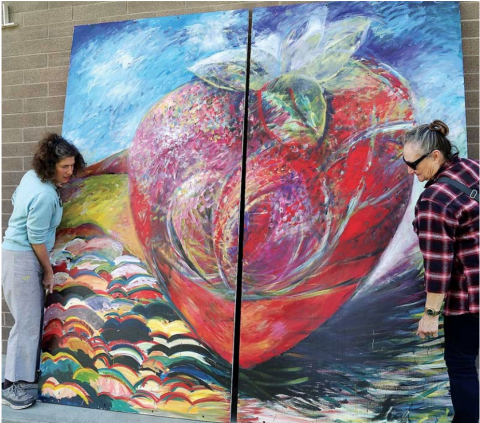 Movable Murals provides a venue for artists and community groups to showcase large-scale paintings in a public setting, visible to and enjoyed by all who pass through Watsonville. This inaugural project was developed for and is in celebration of Watsonville’s Sesquicentennial. 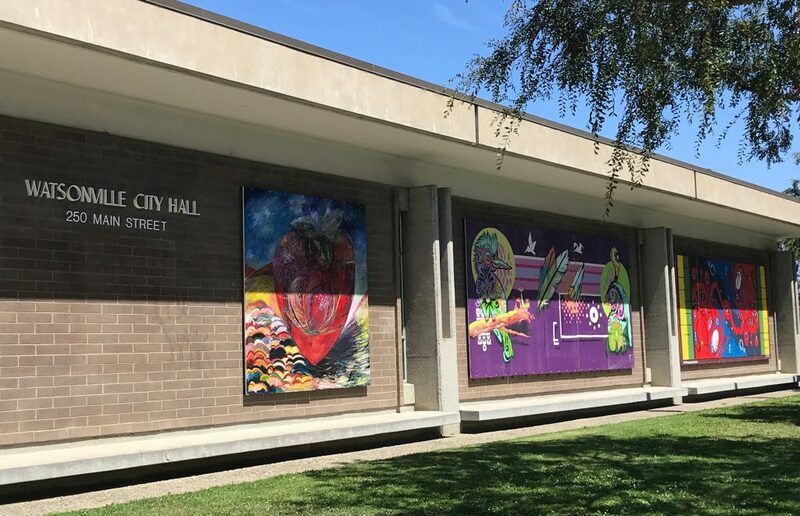 In an open call, artists were asked to focus on topics such as Pajaro Valley’s history, people, neighborhoods, landscape, natural resources, arts and culture. 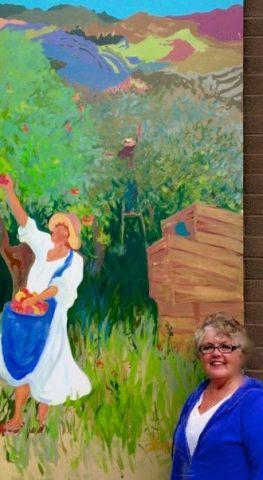 Murals were completed by Bonnie Carver , Paul DeWorken, Judy Gittelsohn, and Taylor Reinhold. For more photographs visit our Facebook page. Read more about Taylor’s piece Primavera.